I want to thank Jonathan and The Lahey Group for selling my home. I am very satisfied, and their home selling system made the process easy for us. After working through a couple of options, what really stood out was the guaranteed sale and trade up program of buying my buyer's house to get my house sold. The best thing is the team was able to bring lots of people to my house which helped speed things up and we got the price we were looking for. At closing, Jonathan was helpful and made everything go smoothly. Indiana was assigned as our client coordinator, she was great with scheduling, paperwork and following up with us. Their team approach lived up to their promise, my questions were always answered, the correct buyers taken to my home and made for a very quick transaction. I highly recommend them! Jonathan and the Lahey Group helped us sell our investment condo in Germantown last month. His homeselling system is proven and delivered results for us. We had multiple offers for our condo in a short period of time and ended up selling our condo for very close to our asking price. I highly recommend working with Jonathan and the Lahey Group if you're looking to sell your home! It was a pleasure working with Jonathan Lahey and The Lahey Group from start to finish. When my wife and I first met Jonathan, he was very positive and reassuring, and was confident he could get the highest possible dollar amount for our house if we followed his plan. He even told us that he could get a buyer very quickly. I was a little skeptical and figured that he meant within a month of going on the market. We followed the plan, and one week after it was listed, our house had three solid offers. I was quite surprised to say the least. His support staff was professional and quite helpful. I can't imagine the sale going any smoother. Jonathan turned a whimsy open house visit into a dream home buying experience. We got preapproved quickly with his partner Ben Robles, who seamlessly paired us up with insurance. Before we knew it, closing was done without a hitch. Buying our house was the easiest thing we did in the last 5 years! Thanks Jonathan and Crew! Jonathan started us out with an honest price assessment on our house; wanting to move quickly, we priced toward the bottom of his range. Within a day, we had numerous showings and by day 5, an accepted offer for 105% of our asking price. The difference with Jonathan is his team: the photographer, interior designer for staging, and critical and responsive office support. We don't usually provide referrals since results may vary, but his system is so well-designed to sell, we are confident that Jonathan can sell any home where the owners work with his team. Five days, five percent over asking price, and we recommend Jonathan to anyone and everyone in DC looking to sell a home. Jonathan was a great real estate agent. His market awareness was exceptional and his ability to net multiple offers was uncanny. In a matter of a week, he was able to find over 3 offers for our condo. He was a pleasure to deal with and truly gave an unique customized experience. We all know how stressful and tense selling / buying a home can be, and Jonathan was able to mitigate any concerns we had and was always patient and attentive in addressing any questions that we came across despite at what odd hour of the day. Furthermore, Jonathan breaks the stereotype of real estate agents hard pushing the customer for a sale and not really addressing the customer's needs. Jonathan was never pushy with us and in fact advised us against submitting an offer on some houses due to the market and the type of house. In short, he always put our agenda and needs first. I first met Jonathan when he was showing a condo to me that I was interested in. I liked him right away. He was able to respond to my request to see the condo and met to show it that same afternoon. Jonathan has fantastic interpersonal skills. After talking with him I knew that I wanted him to sell my home that I had been looking to put on the market. He was certainly the person that I wanted to represent me and my interests as a seller. My experience with Jonathan was wonderful! He told me what he believed we would sell my house for and he was on the mark. He had great ideas and advice for the process. His follow through is an additional asset. Jonathan made me feel like I was his only client. He always responded promptly and never made me feel rushed through any parts of the process. We sold our house in no time. I was shocked! My family and I were so impressed with Jonathan's work that my dad is currently selling his home through Jonathan as well! Jonathan was instrumental in helping me relocate back to the east coast. He was willing to put time and effort into helping my family find a home under a very tight deadline and with specific requirements. We were not only impressed with his service, but his knowledge of the market is outstanding. Jonathan is the first and only resource I would consider for finding a home in the Washington D.C, market. It's rare to find a realtor who truly cares about the families they serve and that is what you get with Jonathan. I can honestly say, if it weren't for Jon we would not have found our house. We were planning on looking at it, thinking it would be a waste of time, but he encouraged us. It was almost immediate, after we walked in the door we knew we wanted to buy it, and he knew that before we did! Then he helped us get a good price for it too!! Your Home SOLD Guaranteed or I''ll Buy It, Call The Lahey Group Now at 301-651-4900 and Start Packing! We have over 10,000 Buyers in Waiting in our Database. Your home may already be SOLD! We sell our homes for 5.59% more in sales price when compared to your average agent. This means real dollars in Your pocket. Per MRIS MLS, the average agent sells a home in 69.33 days while our average time for selling a home is only 12 days! With The Lahey Group's proven track record of results, your home is more likely to sell, and sell for more money, and in less time! According to MLS statistics, only 6 out of 10 area homes sell during their listing period. Compare that to 9 out of 10 homes listed by The Lahey Group that sold before the end of the listing term. 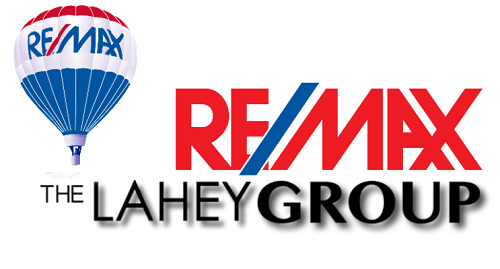 ABOUT US: The Lahey Group at RE/MAX Fine Living is a service oriented real estate team with the power of an International real estate brand of RE/MAX, located in the heart of Rockville. We are comprised of premier real estate professionals working together to serve the area''s wide array of real estate needs. 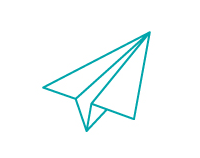 Our goal is to provide our local and international clients with exceptional, personalized service while remaining flexible and innovative so we can thrive in any economic cycle. Our team provides the tools needed to achieve prominence in the marketplace through education, technology, and training. We refuse to tell you what you want to hear,just to get your business. We will tell you the absolute TRUTH EVERY TIME. Some agents are either afraid of losing your listing or don’t have the capabilities to broach a touchy and personal situation. Here at The Lahey Group, we are not afraid and use the direct but soft approach to these issues. Rest assured, you will always be completely and accurately informed on your listing, NO MATTER WHAT! We do not just stop at traditional marketing, we take it to a whole new and different level. Our listings are on over 45 different websites, 24-hour hotline riders, video email blasts sent to our pool of buyers and other agents in the area, professional photos, and a voice blast to qualified buyers! 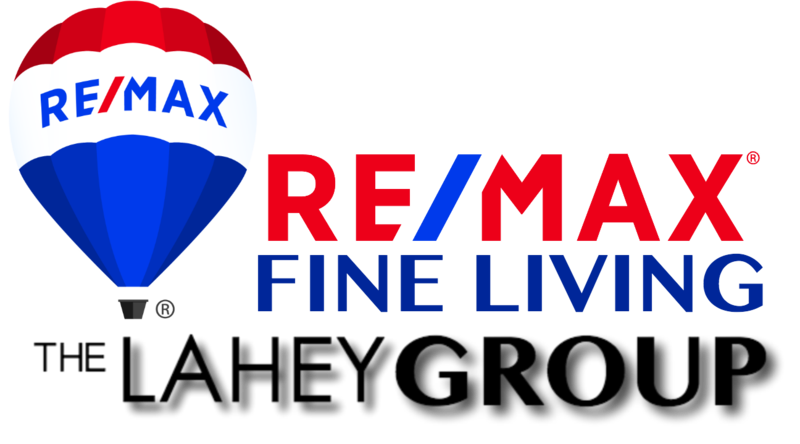 The Lahey Group with RE/MAX Fine Living has an exclusive INDUSTRY PROVEN MARKETING PLAN that is Guaranteed to Sell your Home! Others may claim those results, but we actually achieve it and have our satisfied clients and statistics to prove it! We are engaged 24/7 and we know the market! We work and study the market trends daily to keep up on what is happening now and in the future. We have the knowledge to help keep you informed on the market and make sure you make the right choice when buying or selling your home! With over 12 separate and different aspects of helping buyers and sellers, we make sure no task is forgotten and NOTHING is left undone. From sales, administration, and marketing to service repair, telemarketing, and technology. We have perfected a unique system that allows us to maintain a top level of client communication and performance that is unmatched by other area REALTORS®. Jonathan Lahey is a best-selling author and an award-winning realtor in the DC metro area. Since choosing to focus on real estate, Jonathan has consistently finished in the top 1% in the nation as a realtor selling over 150 homes per year. In rising to the top of his field, Jonathan Lahey has become a national resource for many others in the real estate industry. He’s been the keynote speaker at national real estate and mortgage conferences, has been interviewed and featured on CBS, ABC, FOX, and NBC, and has appeared on marketing panels alongside other top real estate producers in North America. Jonathan has received numerous awards, from the elite Re/Max Diamond Award, which honors agents who have earned at least $1 million in commission in the past year, to being inducted into the Re/Max Hall of Fame, and most recently Jonathan was presented with the prestigious RE/MAX Lifetime Achievement Award. Jonathan has also received the Coveted Quantum Leap Award for Marketing Excellence and for having made the most significant gains in sales volume. Jonathan now focuses on teaching and coaching the real estate agents at RE/MAX Fine Living, helping them make a quantum leap in their real estate business. When you choose to work with Rene Guzman you choose a quality real estate experience from start to finish. With RE/MAX brand recognition, global resources, and aggressive targeted marketing we sell homes faster and for more than the average agent. Whether you are a first time homebuyer or a seasoned investor, I have the knowledge and experience to help you achieve your real estate goals. Understanding market trends and being up to date with the latest loan programs available is important to me. As a life long Maryland resident I know the DMV very well and I can find what buyers are looking for fast. Jacob is originally from a small town in Southern Virginia. He moved to DC in 2012, Jacob has dedicated his time to building a sense of community through his service and work mentoring youth at Citizen Heights Church. His commitment to building community and helping people is also shown through his experiences at Apple Inc. He brings 5 years of Apple experience to the Lahey group. His friendly face and joyful spirit makes everyone around him feel welcome and at home. Jacob looks forward to continuing his journey of service by helping you in the home buying/selling process. With an extensive background in consulting and sales, I have one mission and that's to always meet the needs of my clients. Getting your goals accomplished is my top priority. I am the Ace in the hole for each and everyone that I provide service when they are in need of solutions. With my vast resources backed with the Lahey Group and keen negotiating skills, I look forward to assisting you with all of your real estate needs. Redirecting to searchhomesinmontgomerycounty.com to complete your search.